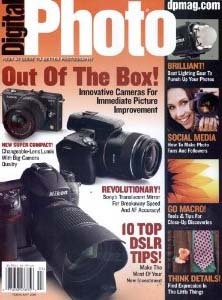 Subscribe to Digital Photo Magazine, just $4.99/year (58% off) from DiscountMags.com! Click Here for the Deal . Valid Today 8/8 Only – remember to use Promo Code 3965 at checkout. Try out MyPoints and Get Rewarded! It’s Back: Rue La La Offering a $10 Credit to New Members!